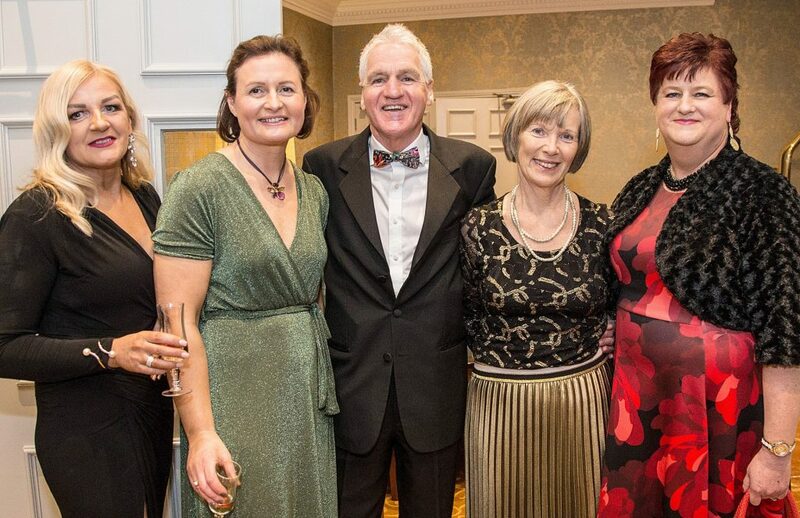 Joe Gough pictured recently at the Park Hotel Waterford Sports Stars Awards Banquet for 2018 were he picked up the award for September with, Cathy Drohan, Gail O’Sullivan, Eilis Gough and Margaret Poyner. Photo: Sean Byrne. West Waterford AC’s Joe Gough has created another bit of history this week when he became the first Irish athlete to win a World Masters middle distance athlete of the year award, the icing on the cake for what was an amazing 2018. At the World Championships in Malaga in September Gough ran 2:16.37 to set a new European record, before winning his first 1,500m world medal at the longer distance. He also completed a European Master indoor double in Madrid earlier in the year, and set an O/65 world record over 800m. The Dungarvan runner, who turned 66 last month, first took to the Masters competition in the O/45 division, showing no signs of slowing down in the years since. “I’m flabbergasted, didn’t expect it at all,” Gough said of the award. “Of course the awards are nice, it’s great to be acknowledged, and I also feel it’s recognition for the Irish family of Masters athletics, a vast number of people, one of the biggest sporting memberships in Athletics Ireland,” he told the Irish Times. Last month he was awarded the European Masters Athlete of the Year after taking similar awards at the Munster and Irish athletics awards recently. What a 13 months or so…but already Joe is back training and competing and eyeing up his next big win.